Will fill the streets of Austin, Texas with some of Colombia’s most vibrant talent. supports Colombia’s international growing music scene. Here is final line up for this year’s event! Ali Rey Montoya better known as ALI A.K.A. 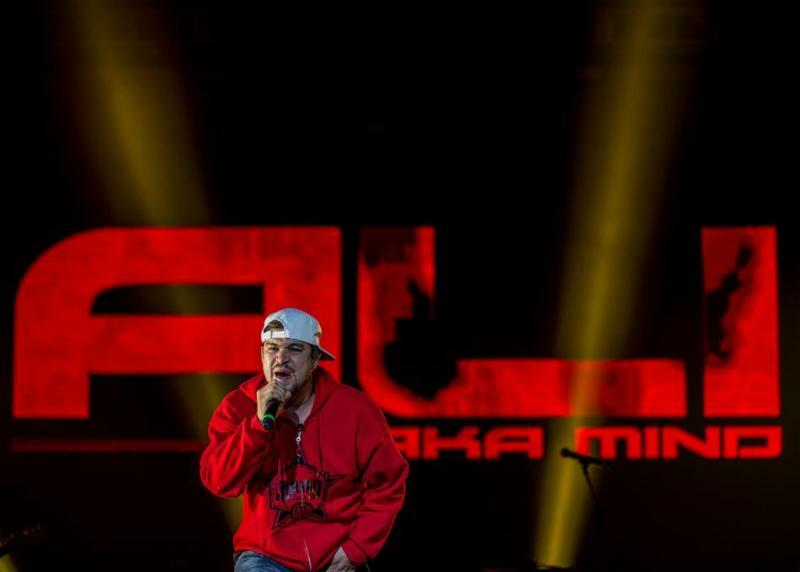 MIND is an independent artist (Producer and MC) that was born in the city of Bogotá‐Colombia. His influences vary from various genres from American rap artists such as Boot Camp Click to the ballads of Julio Jaramillo, from the ideas of Eloy Alfaro to the poetry of Atahualpa Yupanqui. His inspiration comes from his life experiences which are narrated in each one of his songs with a conscious and social message, his sensible way of viewing the world is what he aims to translate in each of his rap songs. 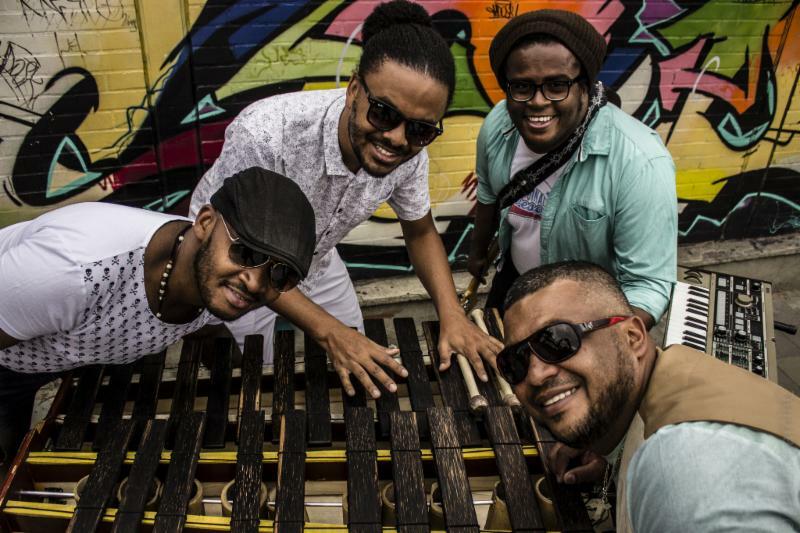 Aluvión is music from the pacific coast of Colombia made in Bogota – seamlessly fusing Afro-Colombian and urban music. 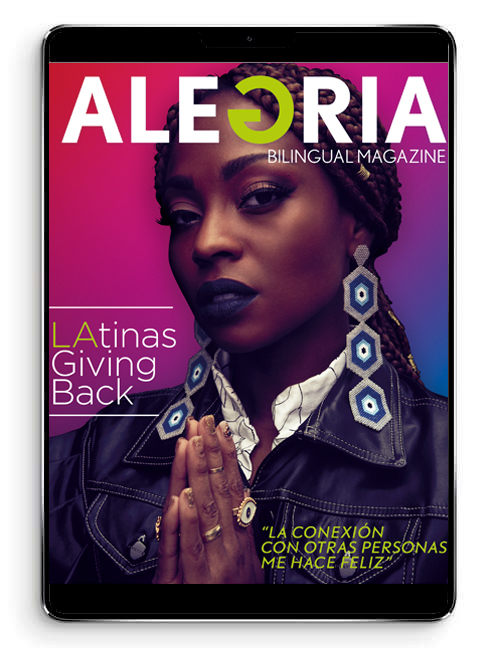 The band’s director, Diego Bonilla, met Larry Ararat (marimba + percussion for Chocquibtown) when he moved to Bogota from the Pacific coast, and shortly thereafter, Aluvión was born in 2010, which was when a stream of Timbiquí water was deposited in Bogotá, a fusion that mirrors the band’s music – marimba, cununos, guasá, topped with the electronic sounds of the Colombian capital. 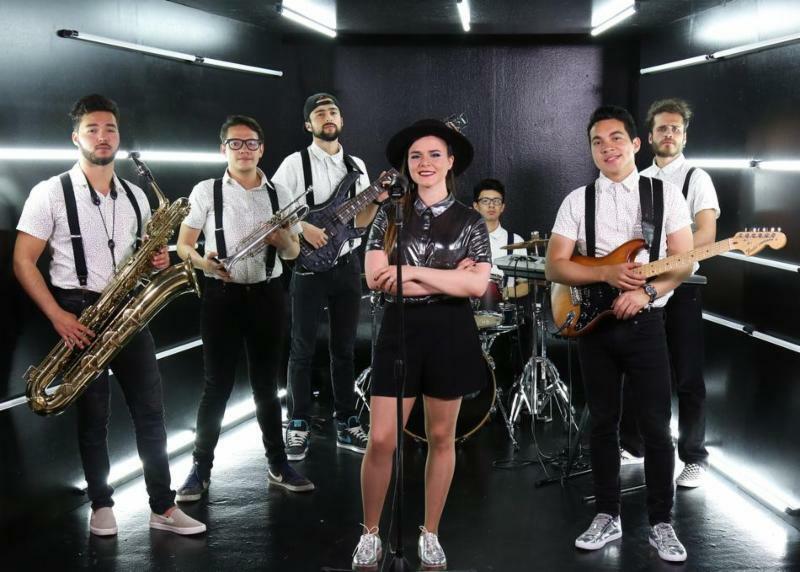 Formed in Bogotá in September 2013, the band has created their own style ‘Funky Feeling’ (also the name of their debut album)- in which funk, pop and rock converge. The band’s trajectory has skyrocketed– they’ve played with renowned artists like Los Cafres, Monsieur Periné, Juan Pablo Vega, Ilona, Adriana Lucía, Pedrina & Río and Doctor Krápula. They won the third festival of bands at the Universidad de los Andes in 2015 as well as Viva Rock Latino. Feralucia is an independent Colombian musician, active since 2012, who recently released her debut album “El Umbral”. She explores her voice as a vehicle for emotion, combined with electronic textures and deconstructed percussion that transports the listener to an imaginary place where strength and vulnerability become one. Recently, Monareta Has Rocked Major Stages From Colombia’s Rock Al Parque Festival To Belgium’s Antilliaansee Festival And From Stockholm To France’s Generiq. Colombian electronica act Monareta is back with new album ‘El Baile Del Continente’ for release on 2017. The group drew critical raves for their previous releases with Californian based label Nacional Records, ‘Picotero’ and ‘Fried Speakers’ with tracks licensed to high-profile productions like Warner Pictures film “Pride & Glory” and the ABC hit drama “Ugly Betty.” They packed rooms with tours from SXSW to Los Angeles and Denver to New York City. Just in the past years, Monareta has taken their show to the globe. “There are very few guarantees in life. But one of them must — must! — be that as soon as you hear “Made in Tribu Baharú,” you’ll start moving. (I promise. )”– NPR. From Bogotá, Tribu Baharú is an afro-champeta music crew whose sound has evolved from the Colombian Caribbean and is influenced by the “Pico” (sound system) culture of Barranquilla and Cartagena. 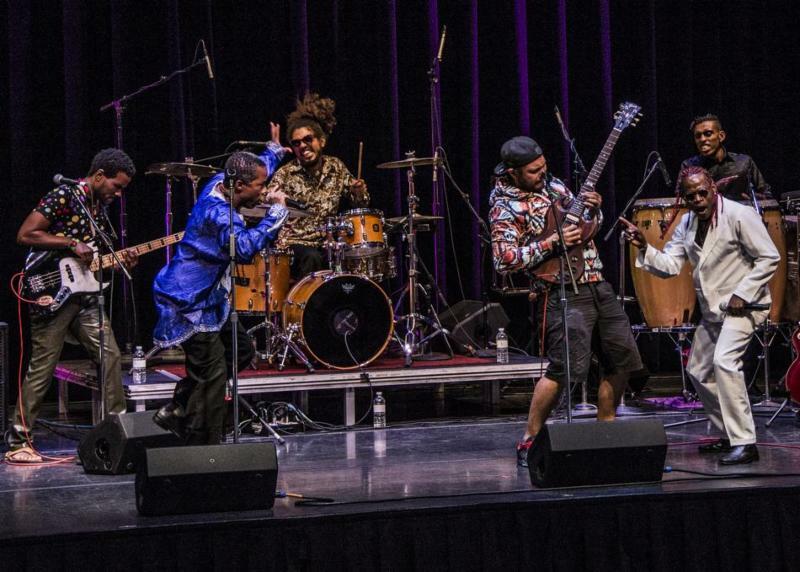 Founded in 2009, Tribu Baharú has evolved to become- arguably- the most important Afro-Champeta ensemble on the international stage. About MINTIC-ProColombia: Since 2012, MINTIC and ProColombia have joined forces to strengthen commercial capacity and support the international promotion of companies in the Information Technology and Digital Content industries to increase sales of the sector in the period 2014-2018 carrying diverse activities such as participation in specialized fairs, business rounds, international cooperation actions and foreign investment . About #ColombiaBringITOn: Colombia is a country full of IT solutions ranging from content generation to software development, unified under a single concept: Colombia Bring It on. The campaign was created in 2014 thanks to the alliance between MinTIC and ProColombia in order to show the world the IT and Digital Contents, through updated information, participation in specialized events, success stories, among others such as: mobile Applications, digital animation, audiovisuals, videogames, digital marketing and IT solutions for various market niches that today are world class.